Price – $ 1,095.00 plus Shipping to be calculated. 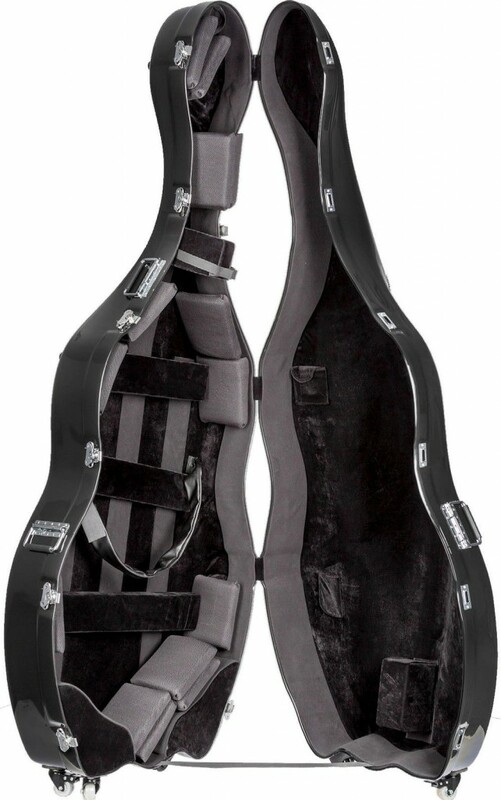 Finally, a bass case that is truly mobile (7 inline wheels allow for easy transport), with adjustable padding to fit a variety of basses, lots of handles, and a plush suspension interior with neck strap and padded body straps to keep the bass in place – safe and secure! Also features two bow holders and an accessory pocket. 3/4 only. Weight 52.0 lbs. 3/4 only.